Microfiltration (MF) and ultrafiltration (UF) are both processes by which a contaminated liquid is passed through a semipermeable membrane that removes solids too large to fit through the membrane’s pore size, yielding a purified liquid stream. To what degree the stream is purified depends on the contaminants present and the pore size of the membrane. MF and UF are generally used for pretreating industrial process streams prior to further separation, purifying various types of streams for potable water generation, treating waste to meet effluent regulations, and performing other applicable separation processes, such as refining oil and concentrating proteins like whey. These membrane filtration units come in various configurations and materials. It is safe to say that MF and UF are more alike than different, however they do have their differences. As stated in the introduction to this article, MF and UF membrane systems can generally be considered more alike than different, so let’s start by exploring the similarities to better understand their differences. Filtration can be achieved with various processes and materials, including running the stream though sand, clay, filter presses, or even using sedimentation, to name a few, but both MF and UF utilize membranes to filter out contaminating substances. Membranes are a semipermeable material that allow various particle sizes to either flow through or be trapped by the membrane, and the degree of separation largely depends on particle size. Membranes remove finer particles (generally less than 2 μm in size) than media filtration (which can remove particles 1 to 2 μm in size and greater). Membrane filtration can remove various particulates, bacteria, viruses, organic material, and certain dyes, improving odor, taste, color, etc., and are used for various process separation, purification, and concentration processes. MF/UF is continuing to become a go-to process, rather than conventional treatment methods, for RO pretreatment to reduce fouling in the RO process train. For industries that require ultrapure process water, such as steam generation in the power industry, MF/UF has been an integral part of pretreating makeup water, as the technologies can help eliminate several costly steps, like clarification and sand filtration. Sometimes clarification is necessary, as in the case of some process waters that require lime softening, but in general, these membrane filtration systems are helping keep process RO membranes cleaner and more efficient. They also require less chemical addition (such as coagulants and flocculants) and monitoring than clarification. Hollow fiber; more suitable for low-solid liquid streams, these membranes are constructed of thousands of hollow fibers that resemble spaghetti and can be efficiently kept clean with occasional backwashing and CIP. Plate and frame; uses membranes placed on top of plate-like structures that collect solids on the inside of the supporting plate. These have low packing densities and can be less efficient than other filtration methods, but they are generally easy to use and clean. Typically used on solutions difficult to filter. They are also among the lower-cost membranes but higher-cost systems. 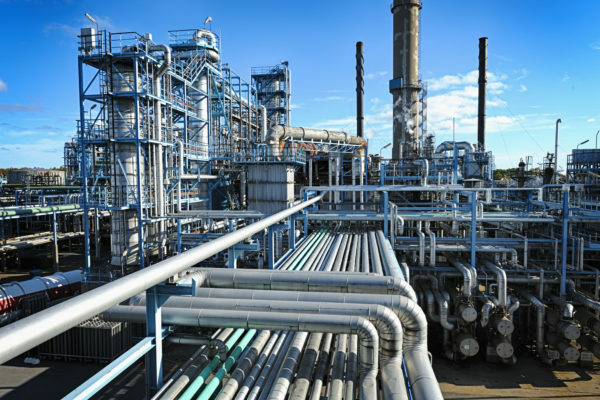 Most MF/UF membranes are constructed with polymers, such as polypropylene, cellulose acetate, and polysulfone, but they can also be constructed of ceramic or stainless steel. Polymers are preferred, as they allow flexibility and have favorable chemical properties, but ceramic and/or stainless steel membranes can be used for processes that might require higher durability, such as for treating process streams with a high pH, extreme temperature conditions, or high-solid applications. When it comes to understanding the difference between MF and UF, and since they can be made, configured, constructed, and used similarly, it’s important to understand that the main difference is simply pore size (microfiltration membranes range from 0.1 to 10 μm, and ultrafiltration membranes range from 0.1 to 0.01 μm), which affects which particles can get through. This helps designate whether MF or UF would be a suitable solution. In general, MF, with its larger pore–sized membrane, allows water, monovalent and multivalent ions, and viruses through its barrier while blocking certain bacteria and suspended solids. Microfiltration can also be used to harvest cells from fermentation broth, and, as mentioned above, pretreat water for RO. In contrast, ultrafiltration, with its smaller pore size, blocks everything microfiltration can in addition to viruses, silica, proteins, plastics, endotoxins, and smog and/or fumes. It requires a slightly higher pressure than MF. Again, it is also used for RO pretreatment for reducing silt density index (SDI).